My great-grandmother on my mother’s side is a hibakusha, a survivor of the atomic bombing of Hiroshima. 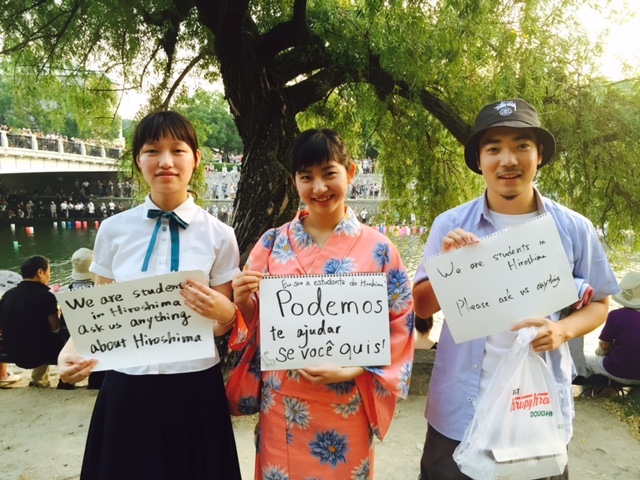 I was born in Tokyo and lived in Japan until I was almost seven, but I’ve never been to Hiroshima until today, August 6, 2015. I’ve arrived midday from Kobe, where it was also a sweltering, muggy 95 degrees, the heat index over 100. The Peace Memorial Museum lobby is perhaps not much cooler and packed with tourists. I pay 50 yen (less than 40 cents) and am slowly herded with the bustling group past the ticket booths and toward the exhibit space. We are shoulder to shoulder, camera to camera. We shuffle through a warm airless passage, then turn left into a hallway lined with mural sized photographs. The iconic mushroom cloud. A rare photo of victims pictured just hours after the explosion. A cityscape demolished, a field of rubble, and here and there a partial wall or bit of foundation standing. We inch along, fanning ourselves with maps, brochures. Smart phones are held up, silently snapping photos of photos. 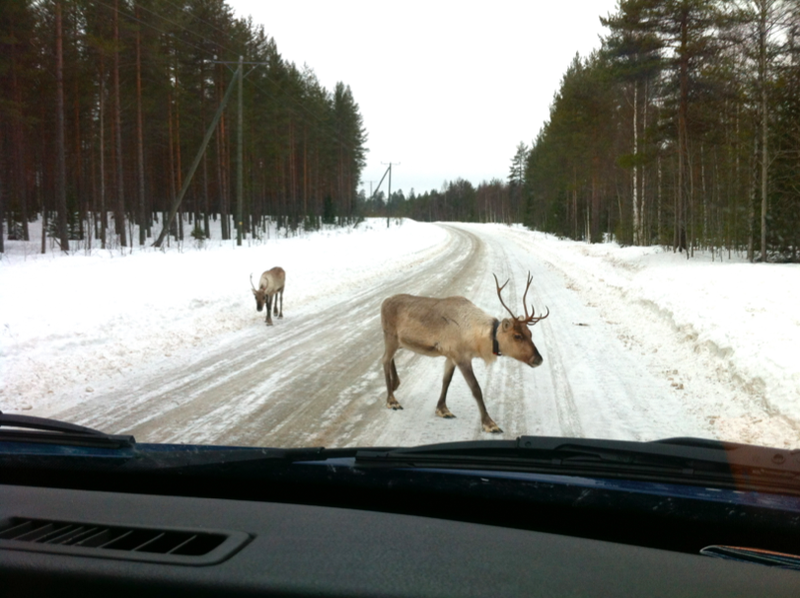 We turn right. A life size installation of victims, like figures in a wax museum, skin shredded and melting off their limbs, their mouths open. I glance and look away. A tall western couple beside me talks loudly. “The thing a lecture can do,” the man expounds, “is ask the right questions. And instead of arriving at the same conclusions again and again, it lets the people decide. . . .” Is it the graphic museum display or the heat or his narration being forced upon me that starts my heart pounding? Blood rises to my cheeks and I stop walking, let them pass by me until they’re out of earshot. Suddenly I’m claustrophobic and furious. I’ve traveled thousands of miles to be here, to honor my great-grandmother, and I only want to leave. I storm through the crowded exhibit halls and rooms until I find a clearing near the exit. Now the photos on the walls depict U.S. and Japanese officials shaking hands. Seventy years and 140,000 lives flashed by in 5 minutes. I skip the gift shop (gift shop?) and search for a cold drink of water. 6:30 pm. Crowds of sweaty people line the park’s bridge and riverbanks. We are here to observe the annual ritual of the lanterns being sailed down the river. 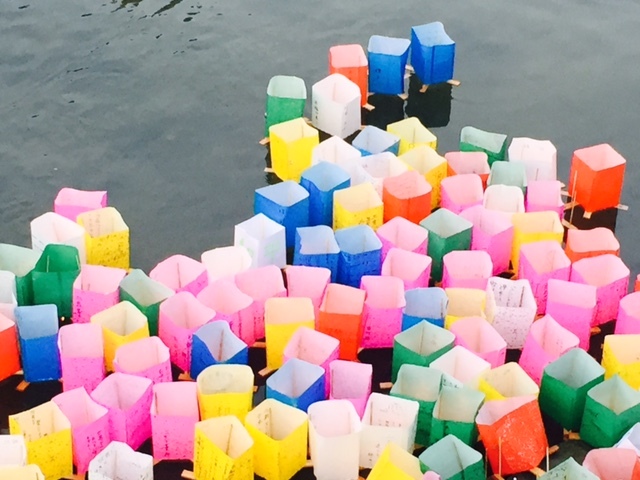 For 600 yen, you can visit a booth and get materials to build a simple lantern–a rectangle of bright colored paper, some sticks, a candle. You can write a message on the paper if you wish. 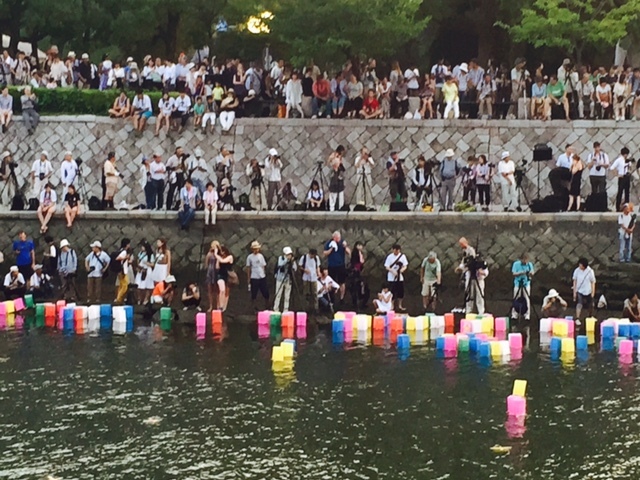 Beginning at 6 until 9, the floating lamps are released into the water. There’s barely room now on the grassy bank to see. I elbow in to take photos. The lanterns are sadly clumped together along one bank, pinned there by invisible currents. 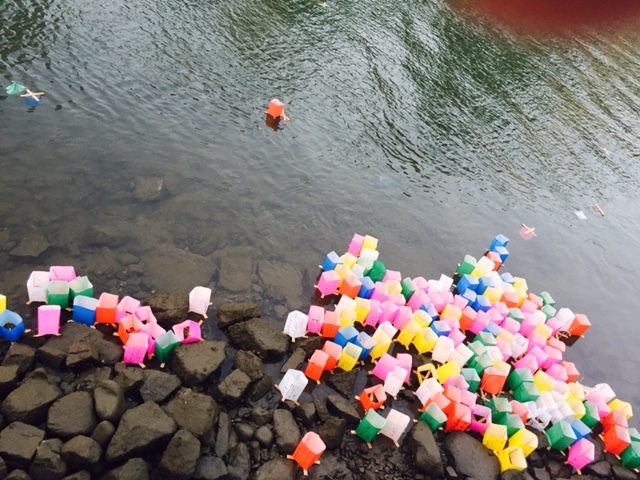 Slowly the newly released lanterns bob and float toward the mass and become stuck there. Some have flipped over sideways or upside down, submerged in water. Some are moored on rocks along the bank, torn and tangled in a criss-cross of sticks and soggy paper. Some candles’ flames are extinguished, others remain lit as the hazy daylight begins to dim. I am shooting photos and waiting greedily for an epiphany, to be carried away by a wave of emotions. Instead, my thoughts are prosaic, dulled. Someone steps on my foot. Someone’s posterior has accidentally taken center stage in my photo frame. The hot buzz of cicadas, the clash of pink and white and yellow faces of tourists craning to see, the rainbow lanterns clumsily bumping along: What a holy mess. History is a mess. Art is a mess. The river is a mess. I’m hungry and Google “best ramen Hiroshima.” What would my great-grandmother think? I rationalize that all parents simply want their children to be happy, and perhaps I can honor my family by seeking joy in a bowl of tsukumen, cold noodles and vegetables dipped in spicy broth. I want to eat and go to sleep. August 7th. Okunoshima Island. Also known as rabbit island, once a military site for experiments in mustard gas. Legend goes that the test subjects were rabbits, and once the war ended the lab workers set them free. 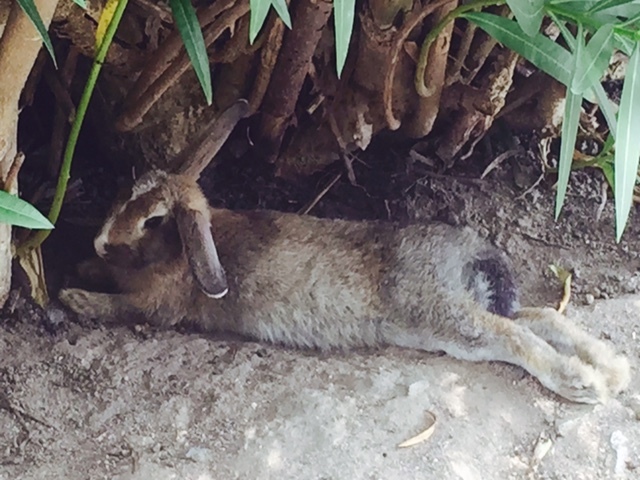 In the warm climate and without predators the creatures multiplied like, well, rabbits. The island is about four and a half kilometers in circumference. No cars are allowed. The island has a small camp ground, pleasant swimming beaches, and a modest hotel. A ferry transports visitors between the mainland and island, mostly Japanese families with young children. On my boat ride I notice more than a few grandparents along for the trip, and here and there a gathering of giddy high school aged girls. The moment we step off the ferry fat rabbits hop toward our feet and look up expectantly. I’ve brought shredded cabbage I nipped from my hotel’s free breakfast buffet. I feed the rabbits, their fur deliciously soft and feather-light to touch. Under the palm trees children with round straw sun hats crouch and squeal and hold out carrots and leaves. The adults cannot help but smile. With the sun beating down and clear blue green sea lapping the shoreline, the islands dark history is easy to forget. Remains of the military building and battery are marked sights along the easy walking path that circles the island. But the charm and surprise of rabbits are a distraction from the skeletons of war, and allow us to spoil–and be–children for a day. Nature’s transformation of evil to happy accident is what I was looking for, what I could not discover in a museum, what I could not plan for in my trip’s itinerary. April Naoko Heck was born in Tokyo and moved to the U.S. with her family when she was seven. A Kundiman Fellow, she has been awarded residencies from the Virginia Center for the Creative Arts and Vermont Studio Center. A Nuclear Family, her first collection of poems, was released by UpSet Press in spring 2014. She is currently writing a novel inspired by her college summers spent living and working in an amusement park. Evidence, physical or otherwise, is seldom considered via its role in a collection as a materially reflexive component of the collection (i.e. content-as-content), and in lieu of the affective quality it exhibits. The appearance of a configurative substance within the given context of a life-cycle or an archive might commonly trigger a classification process that takes place within that constraint; however, it is seldom considered in terms of requisite permutations as a variable of retention. The process of classification does not inherently question whether or not the identifiers assigned to and inferred from content are prone to expiration. Poetic content, particularly in the sense that it appears as evidence, is typically viewed in the context of its designated container— a poem, poetry, indications of poetic diction or aesthetic form, a shape, etc. But how is a reader to view content that was formerly assigned a role (socially, culturally, politically) only to be set in motion within the parameters of a collection— modified, nullified, or destroyed? 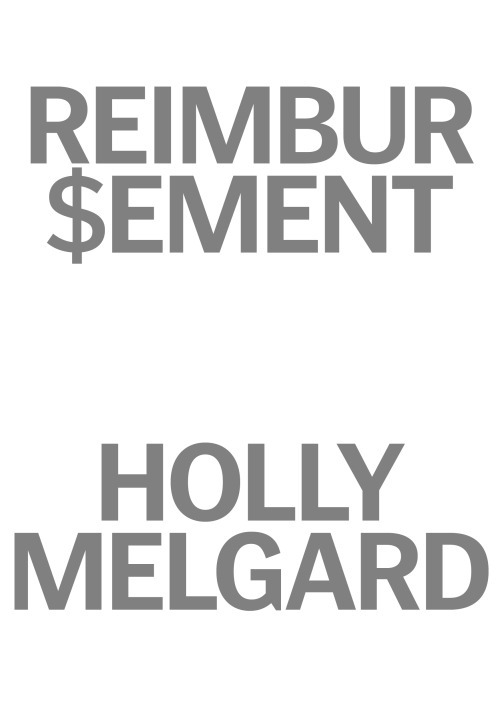 Holly Melgard’s Reimbursement (TROLL THREAD 2013) and Carlos Soto-Roman’s Chile Project (Re-Classified) (Gauss PDF 2013) are two such instances of content appearing as modified evidence on display— collections striving to convey a nuanced intention proxy to the manufacturer, producer, or socially dominant authority source through the suspension of records in apparent disposition. The price to purchase this book is equivalent to the money I spent on losing lottery and scratch tickets over the last 6 years ($222), plus whatever Lulu charges for its print on demand services. Reimbursement is for the work. Whether you have to work to pay for it or not, regardless of my job, now it’s your turn. Here the reader is treated to the ephemerality of the record in that it only serves as evidence of the intention of the collector and not independently (i.e. records in isolation do not exist). In effect, there is also the implication of the transformation of meaning through stages of hope (i.e. bureaucracy), systematic rejection, financial loss as a result of that rejection, evidence (within the role of the archive) of the collector’s activities and habits over a given time period (6-years) and location (New York), and inevitably, of the death of the record (regardless of its suspension as content) in that it has served as a representation of an event/evidence and is no longer useful in the context of its intended purpose of production (i.e. 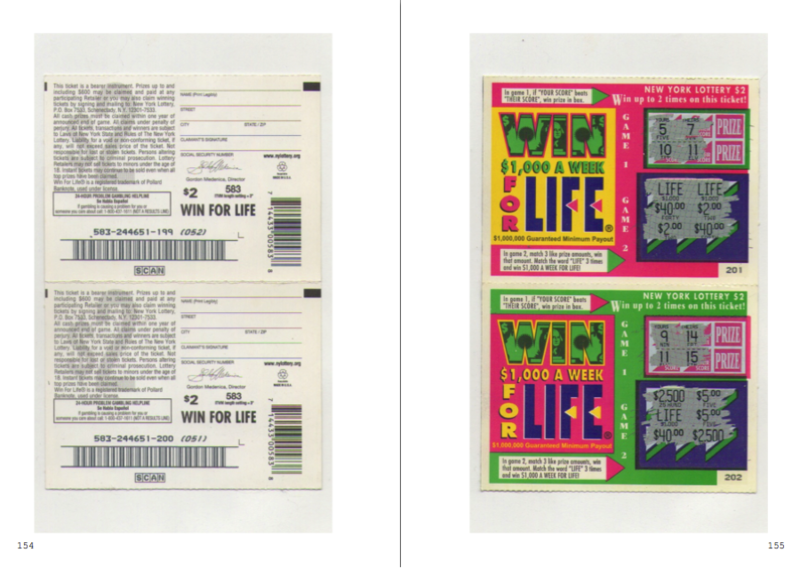 a lottery ticket mandated by New York state). Here the reader encounters a content that stagnates at the end of its retention period. Essentially, it either alters intention (moved or modified by way of an external authority) or enters the death phase (i.e. disposition). However, during the reading process the reader innately assumes that the records remain active, in forgetting that she or he is not participating in the process of accessing and viewing losing lottery tickets, but rather scans of losing lottery tickets. The reader cannot know if the collector has participated in disposition, or even shredded evidence subsequent to its digitization. It is in this space of the modification, movement, and destruction of records (records in a constant ephemeral phase) where we encounter content in flux— not of sound, image, capacity, or even aesthetics— but rather of the seamless transformation of what all things do best: disappear (i.e. die and decay). What remains is evidence; what goes is poetic inference. Given the absence of the physical evidence, there occurs a necessary suspicion of the authenticity of any documentation that the image might imply. If presented with the corporeal evidence, then perhaps what is read is the non-fiction of evidence, which portends the necessity of advocacy for the reimbursement of the collector’s finances. However, there is only the image (that becomes the object, privileged substitute of the physical, regardless of its intrinsic drive toward obsolescence) and the word of the collector (an admitted gambler and therefore less prone to be trusted in a fiduciary context), who decides what stays and what goes. In place of images of losing lottery tickets, suppose the reader encounters a flyer intended to serve as an advertisement for karate lessons, but the date for the lessons has already past. The reader is immediately faced with a question: what happens to the karate lessons when they are no longer offered? In this question lies the predicament of records, particularly as ephemera, which more frequently than not inherently intend expiration/systematic rejection/social uselessness— essentially treading a very fine line between modification/movement and disposition/destruction. In this example, the karate lessons were offered at a particular place and time (i.e. culturally historicized), but if there is no physical evidence, there is no real way of knowing if we are being manipulated into believing that what we are encountering is in fact a double. This act cannot be derivative of the intention of the object, which will always intend if it is allowed to; however, it is by a matter of an overriding intention of an external dominance (i.e. a policy, curator, archivist, collector), which ultimately grants meaning to the archive. In this sense, a record is always dead until moved/modified, even if that modification entails its destruction. Archives are immaterial until an authority says otherwise, and therefore are pockets of solipsistic activity (activated into existence by an authorization). The reader has no choice but to believe the collector in the context of her collection, regardless if the records are dead or nonexistent. In a similar manner, the collector may portend nonexistence in preference to existence. In Carlos Soto-Roman’s Chile Project (Re-Classified), there are two ostensible authorities contending to authorize record states: the collector and the CIA. 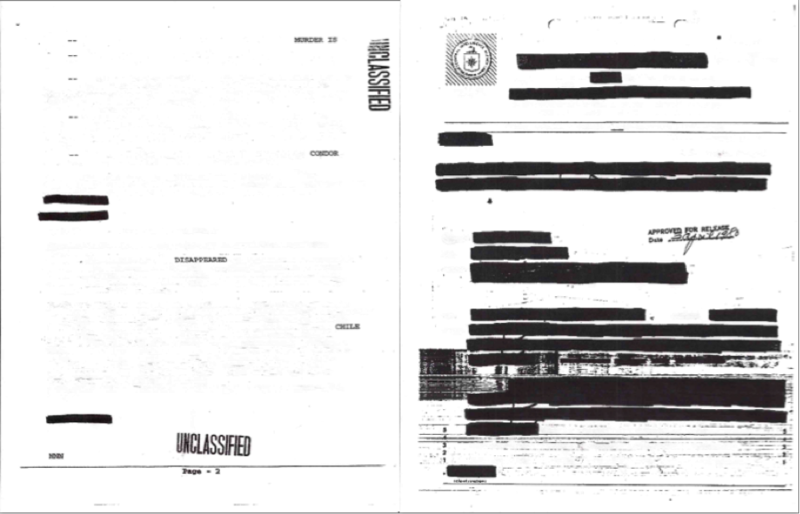 These Cold War era documents regarding the intervention of the USA in the 1973 Chilean coup d’état were de-classified in 2000, while the collector re-classifies them (13 years later) by occluding the previously uncensored content of the documents. In effect, while the National Security Archive mandates a renewal of access to information, the collector rejects this renewal, perhaps even illegally according to the Terms and Conditions of the National Security Archive website. 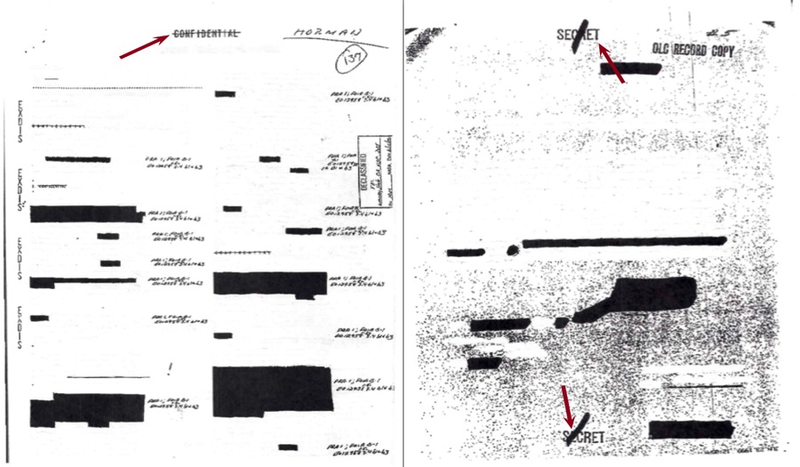 Regardless, the result is a 45-page PDF of choppy scans replete with black marks and scribbling. Classified information exposes another layer of the collection. Not only are classified records considered to be vital, they also require staunch security measures to prevent access by uncleared persons. 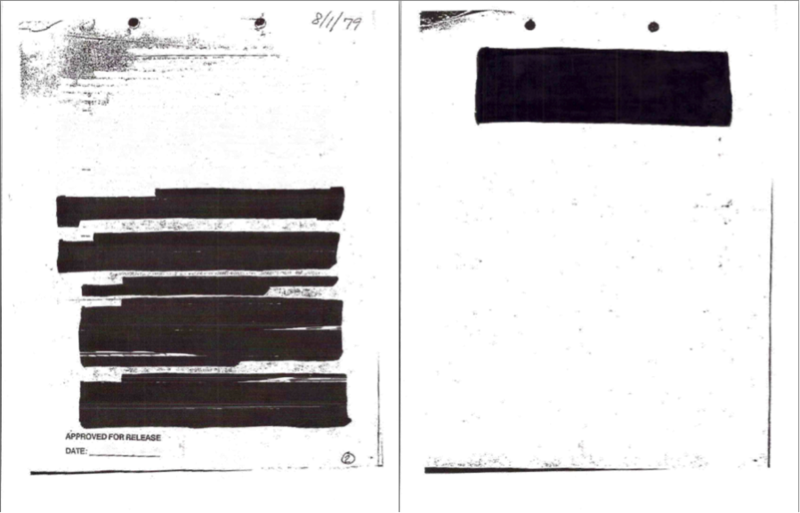 However, the collector modifies the role of the record by re-censoring de-classified content, exposing the record in its former state while simultaneously negating the intention. The reader is left to view dummy representations of the latent phase, a record in a perpetual state of modification (always on the cusp of movement) within the collection. Because a re-classified record insinuates a de-classified record, the reader infers that the de-classified content is accessible in another location (perhaps the National Security Archive website) even though the collector refrains from providing this information. Evidently, the collector prefers the death phase over the record’s assumed accessible state in an archival phase somewhere else. Again, what remains in the life-cycle is evidence; the record on the cusp of disposition or dead from the cycle becomes the poetic inference of the material— no longer accessible for the sheer fact that no one accesses it (i.e. records cannot exist in isolation) in lieu of an accessible counterpart or state. In this context, the re-classified records only intend the portrayal of a particular classified state (Secret and Confidential) that the reader may safely assume has in effect already succumbed to disposition. 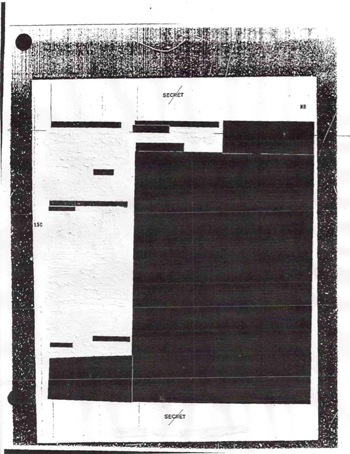 Page 31 follows suit, a document heavily censored in sloppy black marker, while on the preceding page the collector exercises very selective censorship resulting in the concrete presentation of a cryptic message, “MURDER IS CONDOR DISAPPEARED CHILE NNN.” In this context, the piece appears to be an erasure; however, in a cohesive sense, it differs in its role of re-instating a security measure in the absence of a security-related reason (or at least without providing the reader with one), re-adding in lieu of eliminating. It is therefore indicative of the very opposite of erasure, in essence, a busted evidence— an evidence that breaks under the strain of its activation (res extensa via res cogitans) and responsibility as accessible material in the collection. It is not the erasure of content, but rather the destruction of form (in the sense of material rather than technique). The suspension of such evokes the corpse of its modification. It is in the death phase that evidence becomes defective, transitory, and in turn, poetic. In this case, it is primarily noticeable when considering the reader’s inherent suspicion of authenticity in the wake of the collector’s overt request for money (Melgard), and the collector’s selective presentation of a former state, i.e. a dead self (Soto-Roman). In both cases, the suspension of the dead record articulates the infirmity of its role as content to a collection, where it is the authority itself in which the intention is commanded regardless of the production and essential corruption of the trustworthiness of a record as a record. Andy Martrich is the author of Iona (BlazeVox), NJN Transition (Gauss PDF), and Monsanto Ballooning #1, forthcoming from Make Now. He lives in Dakar, Senegal. I was moved to write about the phonotextual experience created by reading the text of Poe’s “Annabel Lee” while listening to Jerome McGann perform the poem. Looking at the text of the poem (this version of the text is not the exact version McGann reads, but it’s close), it begs to be read in a lyric fashion, reading through the enjambment and either placing a stress on the rhymed words or injecting a slight caesura after to highlight the rhymes and rhythmic qualities of the poem. In doing so, the result would be the regular, metrical sound expected from lyric poetry. But McGann denies us our sonic expectations through his disruptive reading of the poem, and in doing so, liberates the poem from its metrical bounds, achieving the “elevation” of the reader’s perception Poe speaks about in his poetics. In “The Poetic Principle,” Poe speaks about the “rhythmical creation of beauty.” But McGann shows us that another aesthetic layer can be created by the negation of rhythm, especially when there is a rhythmic expectation. Indeed, the idea of “rhythm” functions on the faculties of memory and pattern recognition. By storing in short-term memory what was heard and forecasting what will be heard, the brain settles into a dually retrospective and prospective “groove,” pun intended. In addition, the Dickinsonian connotation–“The Brain, within its Groove”—holds, as McGann’s difficult-to-anticipate (anti-)rhythm serves as the “splinter” to derail our expectations. Of course, visually, this looks like a modernist construction, perhaps something from William Carlos Williams, certainly not like Poe’s lyric. The alternate lineation derived from the aural qualities of the reading shows modernist aesthetics of composition being used to “make it new,” to revivify a well-known poem through a sort of deformance. By denying the reader the expected sound of the poem, not only is something new created, but the reader is provided new insights into the content of the original by a disruptive, aural reordering, indeed a performative example of McGann and Samuels’ concept of deformance. In addition to acting as the “splinter” that disrupts the brain within its rhythmical groove, McGann’s performance pulls against other dimensions of the poem’s form, including grammatical syntax and the chosen lineation. It creates a visualization (if it were transcribed as above) with irregular line lengths and lineation placed to disrupt the syntactical properties of the text. For example, the line break after the first “many” is highly unexpected, both sonically and grammatically. It serves to create an expectation of a following noun object—it was many…?—but leads to the lone “and’” which in turn leads to the rest of the introductory phrase that stands alone as its own stanza. The pace of the poem is dramatically (both in terms of degree and as a dramatic rhetorical device) slowed to create a visual, derived from the aural, pull. As McGann’s reading progresses, a new order emerges. The listener can perceive repetitions in the way McGann reads the poem that are not present in the text, but become nonetheless expected in their irregular regularity. For example, the listener begins to expect McGann to pause slightly between “Annabel” and “Lee,” every time the name is read. While at first this functioned against the visual aspects and expected rhythmical properties of the poem, it itself becomes regular and creates a new expectation. 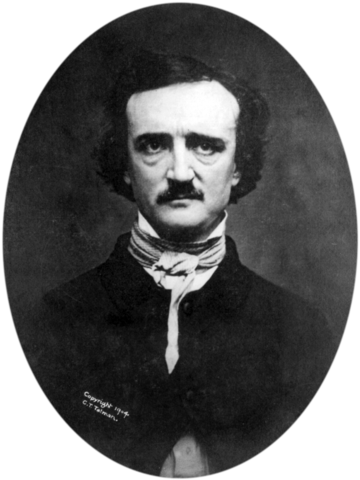 While the listener experiences the phonotext, he or she comes to foresee more of the coming rhythm, alternative to, though contingent upon, Poe’s written rhythm. Poe’s poetics do seem to mesh well with the aesthetic theories of McGann. From Poe’s thoughts on alternative ways to read Paradise Lost prefiguring McGann’s theory of deformance through their alternate-but-related applications of the creation of beauty through rhythm, the two figures seem complementary. One of the most fascinating aspects of Poe’s poetics, to me, is in the “Philosophy of Composition,” where he suggests that a poet should consider the refrain of a poem early in its composition and also strive for universal appeal. In musical terms, this mirrors compositional advice on how to write a pop song: write the chorus first. I mean this not to be derogatory (the comparison to pop music). Indeed, most pop songs are fantastically well written songs—it’s in the jejune musical production where they become adulterated. Because the musical arrangements strive so hard to evoke and illustrate the content of the song, they become mono-dimensional and uninteresting (admittedly subjective). McGann’s “cover” of Poe serves to revitalize it in the way a reinterpretation of a song can, by using a complex production to pull against the content and expected form–and create originality through the disjuncture. Through his irregular cadence, tight range of pitch that resists an overly expressive application of tone, and judicious use of emphasis, McGann makes it impossible to put the Current back again and hear the poem as a lyric. Chris Mustazza is interested in the intersection between technology and the Humanities. Specifically, he works with early sound recordings (1930s and ’40s) of American modernist poets reading their work. His research centers on the collection, digitization, and historical/aesthetic contextualization of these works. Most recently, he’s been researching the National Council of Teachers of English’s Contemporary Poetry Series, which ran from Columbia University in the 1930s and ’40s. As part of his work on the CPS, he has edited for PennSound collections of recordings by Vachel Lindsay, James Weldon Johnson, and Harriet Monroe. His critical introduction to the Vachel Lindsay recordings was awarded the 2014 Sweeten Prize for best essay in American Literature in Penn’s English Department. He’s also written about the CPS in his article on the provenance of the earliest William Carlos Williams recordings. He is currently working on a master’s thesis on the historical and aesthetic framing of the CPS. Chris is also the editor of Jacket2 Magazine’s Clipping commentary series, which focuses on experimental digital analyses of poetry audio. DARREN LARKIN: I had been thinking more about the land, day/night cycles, WINTER. Tricks to ensure a good milking, that the children were healthy; hunters, healers; holy trees and holy hills. Rituals for proper teeth, strong hair, matchmaking. JASPER BERNES: Logistics is more than the extension of the world market in space and the acceleration of commodital flows: it is the active power to coordinate and choreograph, the power to conjoin and split flows; to speed up and slow down; to change the type of commodity produced and its origin and destination point; and, finally, to collect and distribute knowledge about production, movement and sale of commodities as they stream across the grid. JOAKIM MATIASSON: Så snart man är ledig åker man bort. XXXXXXXXXX: I’m from Guadalajara and that really means that yr from a tiny village just outside of there. PAUL EBENKAMP: i completely feel what you say about the politics of place. politics of place rarely seem rooted in love of place; more often it seems more rooted in appropriation/deployment of place for one’s own (small- or big-minded) purposes or goals or whatever. by “love” i mean the sort of joy that renders one temporarily selfless. maybe this love is simply more accessible when one is in new environments, and maybe this is why traveling seems to make people happier and stronger, more resilient – not getting out enough means i get too used to misreading my own challenges as being the “main event” of my life. GIORGIO CANOVA: We are poor here but we live like we are rich. ERIN MANNING: If we remove the body from the state, the conflation of identity and territory cannot be sustained. SILVIA FEDERICI: Magic: a form of refusal of work, of insubordination, and an instrument of grassroots resistance to power… premised on the belief that the world is animated, unpredictable, and that there is a force in all things. TYLER HAYDEN (SANTA BARBARA INDEPENDENT, 13 MAY 2014): Instead of seeking compensation, the lawsuit aims to compel the world’s nine nuclear nations—the United States, Russia, the United Kingdom, France, China, Israel, India, Pakistan, and North Korea—to meet the obligations of the Treaty on the Non-Proliferation of Nuclear Weapons. ABDELLAH TAÏA: Freedom is no longer the privilege of the west. American/Texan/Californian. I don’t need to rectify any of those in any way (though I feel the invisible hand of societal expectation pressuring me to do so). 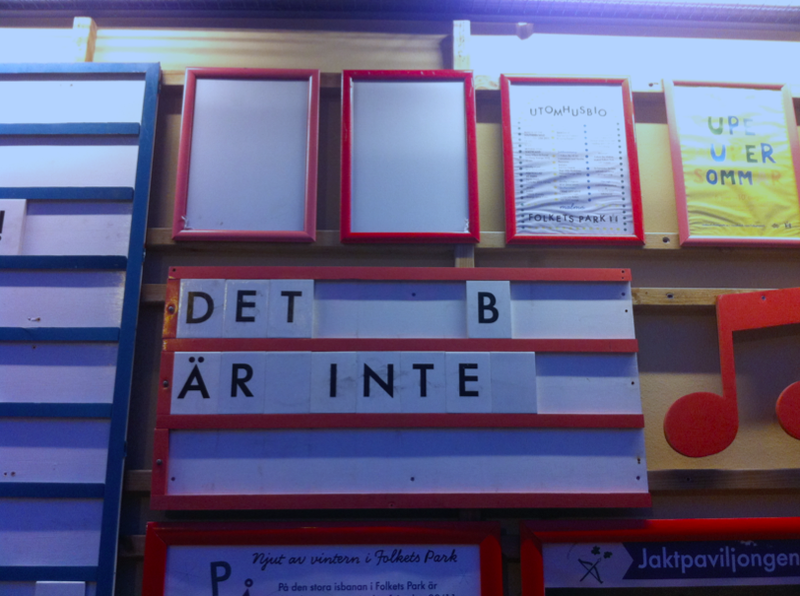 HÅKAN ANDERSSON: The thing I find really strange is how you can’t pay for a ferry ticket with a non-Nordic card. Maya Weeks was born in Ventura, California. She is the author of Panic Train (Mondo Bummer 2013) and obsesses over logistics, affect, & ecology at anaturalhistoryofcolours.tumblr.com. I have always been fascinated by ruins. Not just ruins, not just what has fallen out of use and has been abandoned, but what happens to those places called ruins after they have been abandoned that makes them ruins–the reclamation of nature, the manicured structures, lawns, and roadways disintegrating, the rust, the crumbling asphalt, and the trespass. That land is developed, planned out, built on, and then vacated, sometimes for no reason at all, and then is left to the elements. The chain link rusts away creating its own barbs, weeds and plants grow uninhibited over old buildings, people break into what used to be a barracks or a basement or a walk-in refrigerator and use those spaces however they want. 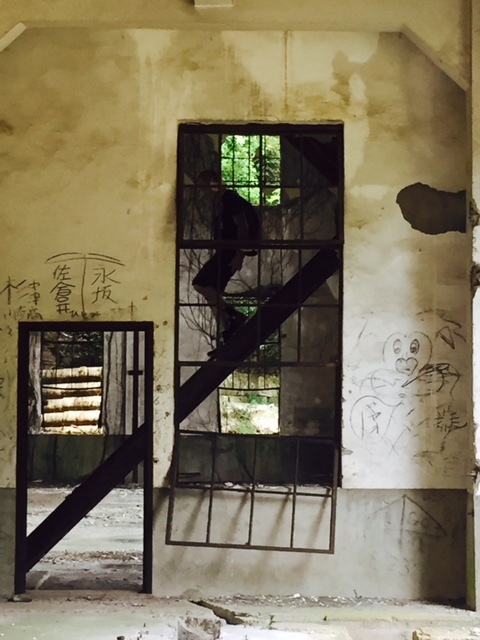 The abandoned structures often become the raw material for my poetry, a study of decay. I am thinking specifically of a space that I would like to say that I have come to know well but that I no longer visit. Most of my writing comes from recalling a place and meditating on it after the edges have become dull and I only have brief and flashing memories of it. I let the unfocused details enter my poetry because they are probably misremembered for the better. That meditation on a space after it loses the details that position it within a historical, social, and political reality, that erases specificity and allows for generic and abstract meditation is what I will term non-specific site poetry. Under this umbrella, there exist other types of poetries–ecopoetics, “nature” poetry, the poetry of the everyday, and many others. What concerns me in this essay, however, is site-specific poetry–that poetry that is written with visible signifiers of a specific site, which takes into account its history, social factors, and other realities. One main differentiation between the writing of a specific site versus a non-specific one is the naming of it. As soon as I name the space that I write about, it is immediately put in dialogue with all other writings of that space. It has a different weight and significance than the writing of a non-specific site. The sort of writing that comes out of site-specific poetry has to take into consideration much more than its counterpart. Likewise, the writing around these spaces must be dealt with in an ethical way, as I will talk about later on. The place that I’m naming now is the Alameda Naval Air Station. If you look at a map of the island of Alameda (a human-made island), you’ll see that the Naval Air Station covers about half of the land in Alameda. This land is and has been largely unused for many years now. Today its uses are primarily industrial, but it also contains low income housing and some other civic structures. However, to a person visiting this place for the first time, the Naval Air Station appears to be a ruins. Let me briefly recount the history of this place as I have researched it. 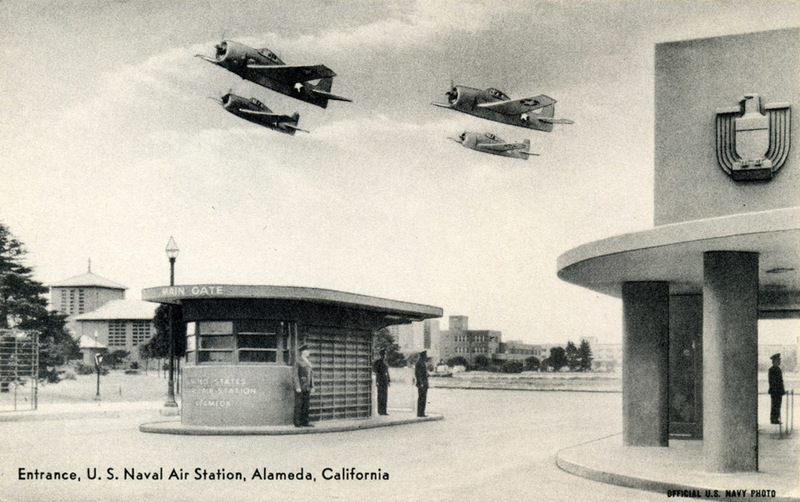 The Alameda Naval Air Station was originally a marshland. The land was bought and developed into an airport. Around WWII, the government seized the land and turned it into a base. In the 90s, the base was shut down and the government made promises to give the land back to the county. The land is currently undergoing remediation because of jet fuel and other contaminants found in the soil. This is a rough outline of the base’s history, focusing not on the political or social connotations, nor on the people who have lived there, but on the land itself. Though it now houses people and businesses, the base is, for the most part, still unkept and largely abandoned. The housing I mentioned above is usually placed right alongside decrepit, caved in apartment complexes with fences all around them. The businesses are hedged along with huge and unused airplane hangars. As you have probably already put together, there are many social, economic, and political implications to this place I have called a ruins, and I admit that I am ignorant of many of these implications, other than knowing that they do exist. Calling this place a ruins, as I did initially, is a generalization. To someone studied in other fields, there is a whole slew of issues attached to this place. On my first few visits there, I remained naive to those problems. My original intention in visiting the Naval Air Station was to write a collaborative project concerning place, coupled with photos of the base taken by an ex-girlfriend, who is also a poet, photographer, and friend. We walked around parts of the base together, and she took photos of whatever interested her while I tried to remember the details and the affect of the place we were wandering around. We walked, mostly silently, for about two hours, taking pictures, noting landmarks and their decay, and trying to understand what this place was and what it had been. Most of the details that I gathered then no longer register as memory, but what I do remember from that day is a deep sense of loss and sadness. I don’t know why, but for hours after visiting the base, it seemed that Sarah and I hardly spoke a word to each other. It hangs in the air, this sadness for a place, a long time after, as if it had entered into you. It is almost like visiting a cemetery or a church, that though you are abstracted from its significance, not believing in that religion anymore or having any dead there, you are still drawn into the trope of its meaning and can’t help but feel its lingering effects. What, specifically, is the trope of this place? And why do we feel its lingering presence during our visits there and after leaving it? When the photos were developed in black and white, streaks of light and what looked like fog crowded around the pictures’ subjects, as though the haunting presence that we felt had pressed down on the film itself. And it is hard not to make a connection that people have died here, that bodies may have been dumped here after it was abandoned, and that the land itself and its history is somehow damaged. I revisited the base alone many times afterwards, and with each trip it became more clear why it felt so haunting to me the first time around. Even without death, without violence, or any other thing that may be lurking psychically in the base, there is the fact of the land and people. The land has been damage to the point that it is ruined for use. It is ruined for its original function as a marshland, which with its indigenous flora and fauna, functions as a cleaning system for the waterways. It has been ruined for use by the city that houses it because of the pollution and waste that has been dumped into it by the federal government. Moreover, and more important than any of this, it is a depressed area, and the people who do live in it are constantly accosted by the fact of its ruin, having to live in the midst of decaying and abandoned apartment complexes that could so simply be rectified and turned into a community, if not for all the red tape. It is a depressed area that very few people even know of, overshadowed by the wealth, success, and privilege of the rest of the city of Alameda. All of these factors, and many more, haunt this place. Entering into this place, I had no idea of what it signified socially, economically, politically, or otherwise, and had to educate myself about it. I am writing this as a privileged outsider and can only grasp peripherally the complications of the space that I am attempting to address. This is, perhaps, the whole point of writing this essay at all. We often enter into a space not knowing what it signifies, like when driving into the Oakland hills, we find ourselves in a redwood forest where we can no longer hear the sound of cars and people and the busy life of the city at its foot. Sometimes it is unsettling and sometimes it is beautiful. Sometimes what we had been so quick to pass off as ruins are filled with people living and working and trying to make a better life for themselves. Space is full of these variables that make it both: both a ruins and a home and the site of a marshland as well as the site that housed a nuclear submarine at one time. There are always histories to be uncovered in space, and always something more to find there. It is nearly impossible to consider all of these variables and complexities at once. The base is simply one illustration of how these varied histories simultaneously exist. Writing into a specific place, one is taking part in the history of it. And at times, this means taking part in the violence of rewriting its history. Space becomes an open signifier and our writing of it is a way to engage with its multiplicities. And though when we make the poetic choice of privileging one aspect of this signifier over another, of writing into space as it relates with language, ecology, the everyday, or any other coinciding theme that can be read alongside space, those alternative themes and poetries linger within our writing as a trace. Not only are we writing into the history of space when we choose to write about a specific landmark or site, but we are also writing into the writing of that landmark or site. The naming of a space, and the subsequent writing around it, is an action that has to be weighed ethically. When I write about a tree by a lake, this tree and lake has the privilege of anonymity. There are no markers that signal to the reader that this tree or lake are infused with a social reality or are attached to a specific space. When I write about the overgrown hedges and weeds crawling up the side of a former barracks at the Naval Air Station, this image is additionally charged with the significance of the space that I address. I am not saying that one is better and one is worse, only that with the specificity and naming of a space comes all of the complexities that may be attached to it. Perhaps the reason that my project about the base was ultimately a failure was precisely because of the complexities that it embodies. I went looking for a ruins and found something that was partially that and partially a history and a site where people lived and worked and still do, and so much more. Perhaps it was my failure or lack of skill at being able to rectify all of the various functions that this space serves. Perhaps I realized after my ten or fifteen visits to this place that I did not fully understand the stakes of writing about a space that was so complex. It is easy to turn a blind eye to the intricacies of a place, to make it mean what you want it to mean, to commit the violence of rewriting space as something you see, and not the reality of what it is. It is easy to tell partial truths. But addressing a specific site asks us to be judicious towards it, to attempt to represent it as best we can for its complexities, and not to generalize or belittle it, to consider the lives, the meanings, and the struggles that come along with it, and to be truthful to them. Cosmo Spinosa lives in Oakland. His poetry is forthcoming in Barrelhouse and has appeared in Peacock, Aries, and Vertebrae, among others. His critical work has appeared on The Volta. He holds an MFA in Poetry from Mills College.